Broken Arrow Creekwood Elementary Opens! 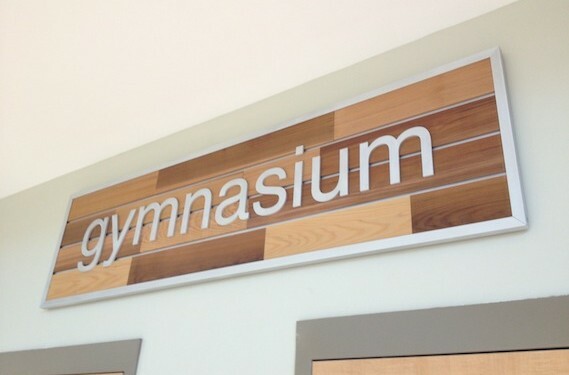 | Manufacture custom architectural signage and graphics for over 40 years.Architectural Signage | Graphics | Manufacture | EMG Graphic Systems Broken Arrow Creekwood Elementary Opens! 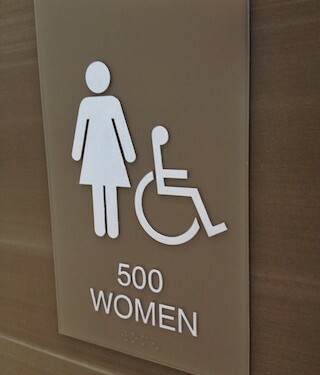 | Manufacture custom architectural signage and graphics for over 40 years. 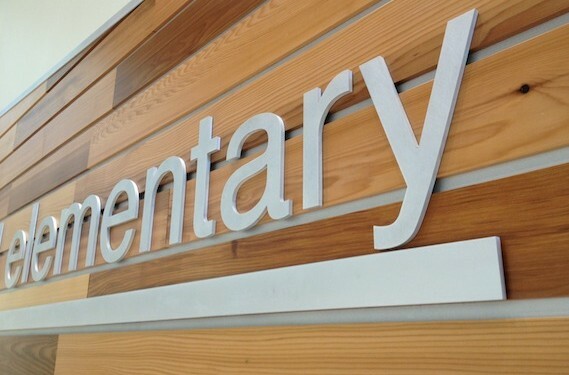 These large area ID panels were constructed from wood reclaimed from the job site with dimensional aluminum letterforms with a satin finish. 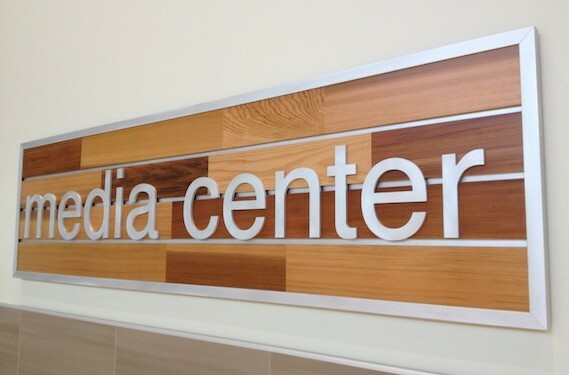 The wood also forms a significant portion of the ceiling in public areas in the facility, and the signage was designed to bring the beautiful ceiling to the wall. 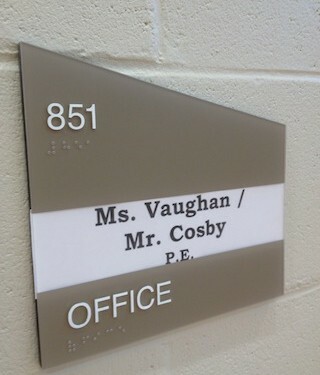 The plaques were constructed of backpainted acrylic with tactile copy and braille.